1. 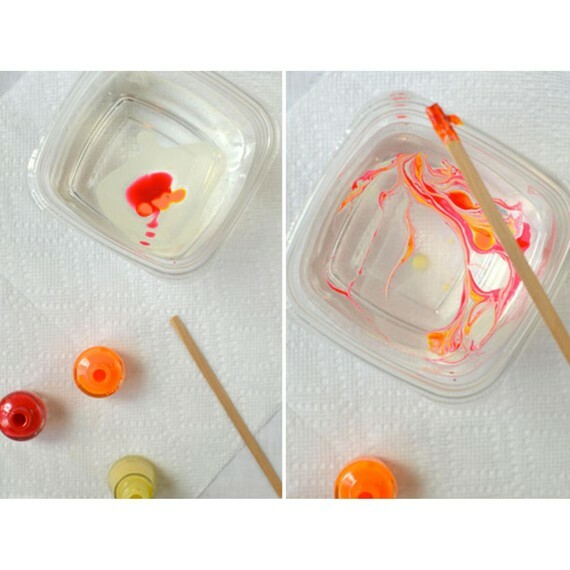 Pour a few drops of each nail polish color onto the water surface. 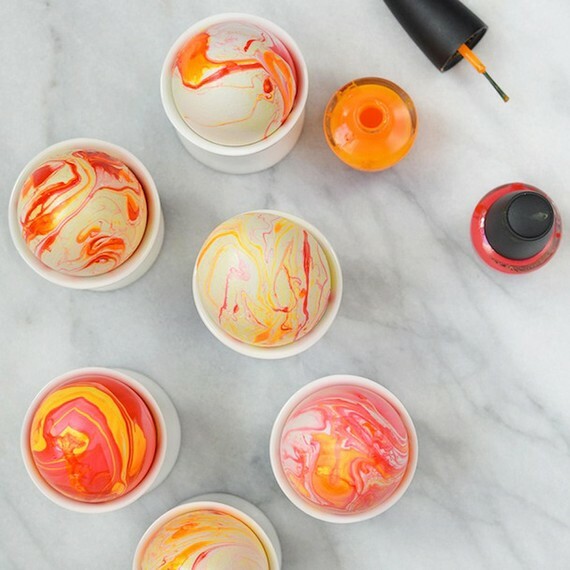 Be sure to experiment with this step as the order you pour the colors results in varying marbleization. 2. Use a stick to swirl the nail polish around. 3. Carefully submerge the drained egg into the water until completely covered, then quickly pull out with a slotted spoon. 4. Set egg aside to dry. 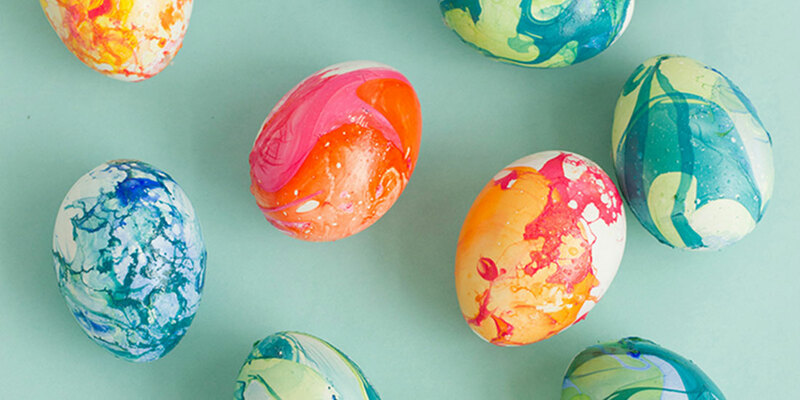 Scoop out nail polish from water surface between eggs. 5. Repeat steps 1-4 for each egg. Tip: Create an egg-drying rack like the one pictured by poking T-pins through a thick foam board about 1.5 inches apart. Your eggs are ready! Be sure to let them dry thoroughly before handling. Happy Easter!